The star of ‘people’ feature number 10 is back with a vengeance! The man, the myth, and the legend (who is otherwise known as Jonathan) is coming right back at ya with another update! The Orkney to Bournemouth Challenge is well under way. He’s doing brilliantly, and so far has reached 85% of his donation target. You can check out his Virgin Money Giving page by following this link. 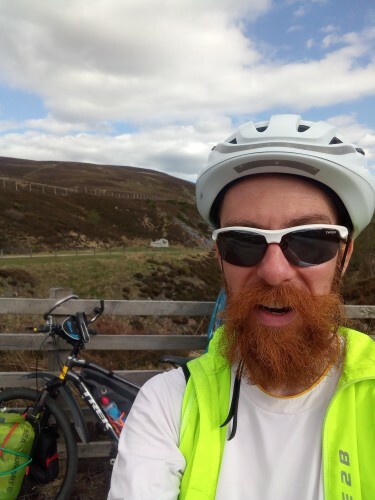 He’s battled the elements and experienced broken wheel spokes; but he’s also experienced the wonderful kindness of strangers and has been cheered on as he’s fought his way up monstrous hills. Please do help spread the word and let’s help Jonathan hit his target, which is all in the name of two very worth charities. 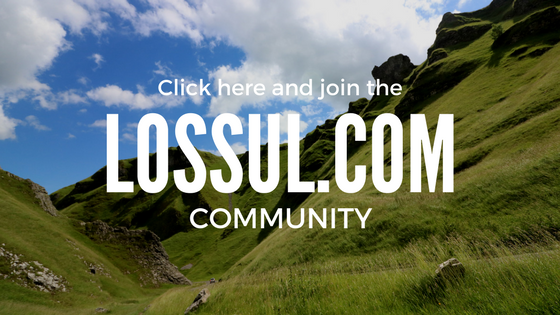 Hi Elliot and all the Lossul.com community! Hope you are all keeping well! When I last wrote, I had just left Orkney; I’ve since left Scotland too, and am now in Worcester. It’s certainly been a challenging adventure! There have been times when I have felt disheartened by my lack of progress, and other times when I have been uplifted to euphoria with the beauty of the wild landscape I am travelling through. Scotland was a real eye-opener for me. While John O’Groats doesn’t have much going for it, there are some beautiful beaches along the Northern coast of Scotland, with the clear blue waters and clean sands that you see in holiday programs. I cut south from Tongue, and headed straight into headwinds and the stark browns and blacks of the Highlands. Every hill seemed to only go up, as the strength of the wind I was cycling into robbed the downhills of any benefit. It took a lot of physical and mental effort to get over it-and also a call home for some info on the coming terrain! 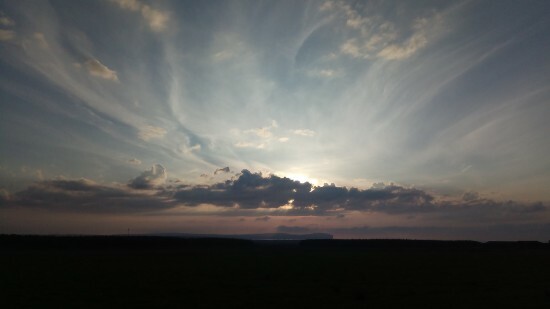 The following day was much better, and saw me cycling 75 miles down to Inverness, a record one-way mileage for my journey so far. I stayed a few days in Inverness, in part to see a friend, and also to do a little work. The campsite was ok, but reinforced for me the parts that I particularly enjoyed about the wild-camps that I had done so far; freedom, space, lack of distraction and ‘civilisation’. Shower and laundry access was good though! Inverness was good to visit, but I was happy to be moving again. 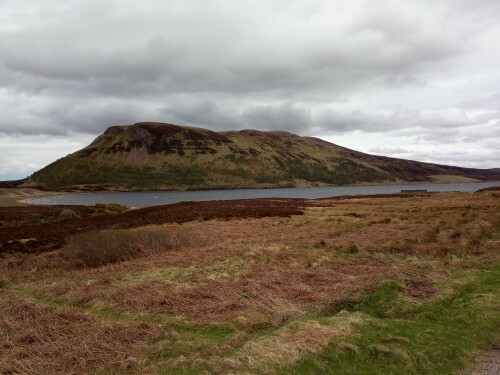 As I headed south, I encountered more lochs and rivers, forests and hills. I was delighted to visit the Scottish Crannog Centre, and take a break from my trip for a tour. I’d recommend a visit if you are anywhere near Loch Tay-and Loch Tay itself is breathtaking. From there I had great fun riding around the Loch Lomond and Trossachs national park – great hiking, biking and horse riding country! Left a piece of my heart there, I’d say. 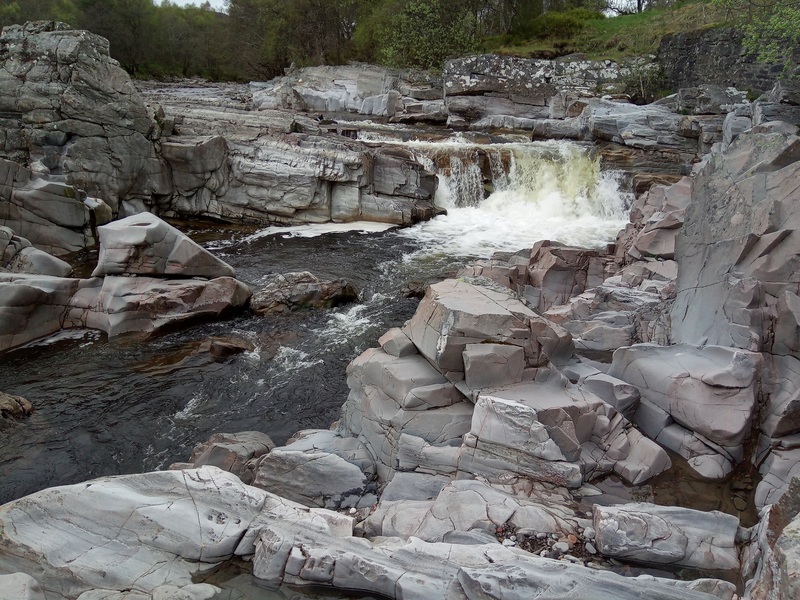 The trip seemed to pick up pace as I headed through the South of Scotland, passing quickly through Glasgow, and suddenly finding myself at Gretna and the border. It felt a little anti-climactic, just a little sign on a busy road; and yet for the journey, it was quite a big waypoint. The different laws would make wild camping much more difficult-although since entering England I’ve yet to find a suitable place along my route. There was also a small feeling of coming home from holidays, even though I had many more miles to go. Most of the North of England, much like the greener parts of Scotland, are given over to farms and small villages, and that was what I have wended my way through to get to Worcester. A brief visit to Manchester confirmed my preference for the countryside, even if the tough, hot climb to Orton Fell and the Trough of Bowland were incredibly hard work (and very rewarding!). My travels so far have shown me that Britain is a country of countryside-farmland and heathland, forest and lake. There are many built up areas, but they are far outnumbered by the amount of green and wild lands that we have around us. If you have ever doubted this, I can only urge you to explore! And I don’t know about you, ladies and gentlemen, but this has been a truly inspiring post and one which only acts to intensify my passion to explore my own home countries. I too prefer the country to the city and so it’s heartwarming to hear what Jonathan has to say; that Britain has far more countryside-green than it does urban-grey. Thank you Jonathan for this update and please do continue to let us know how you’re getting on.